Upcoming act straight out of Kingston Jamaica presents the video for the first single release off my upcoming EP entitled "LIFE" (UK Produced) hope you enjoy it and can help to spread the message of reality in everyday Life!!! 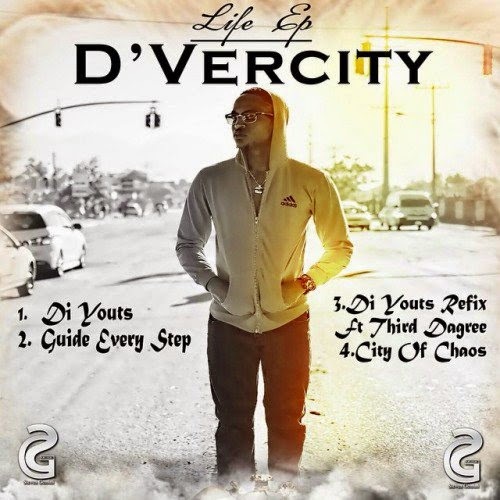 D’vercity has loved music for as long as he can remember it all started as early as age 7 in the Sunday school choir (Boulevard Church of the Nazarene) and listening to Mr. Errol’s sound system every Saturday where he got his first taste of Reggae & Dancehall music. Little did he know that this early exposure would slowly but surely prepare him for his ultimate calling as an entertainer. He could not escape his love for music despite his involvement in Boy’s Champs, Minor League Football and Manning Cup; joining the high school choir at Campion College was not enough, during his free time he could be found beating benches and singing with friends. It all came together after leaving high school when he first realized that his love for poetry and music could come together into a fully structured song, melody included. He had found his voice and there was no turning back. He found a home at Cashflow Records with Neil Mitchell and X providing mentorship, where he released a few singles “Nah Stay Poor” and “Don’t Let Go” which led to an international recording “Mad Sitten” with Fleximus Prime of Netherlands. However he found himself pulled away from his dream’s pursuit by having to work and complete his studies at UTECH. Having returned on the scene he did a social commentary on the $5,000 bill “Di Bill” produced by Xyle which provided rotation and interviews on local stations, while his other works have been receiving some attention via the internet. 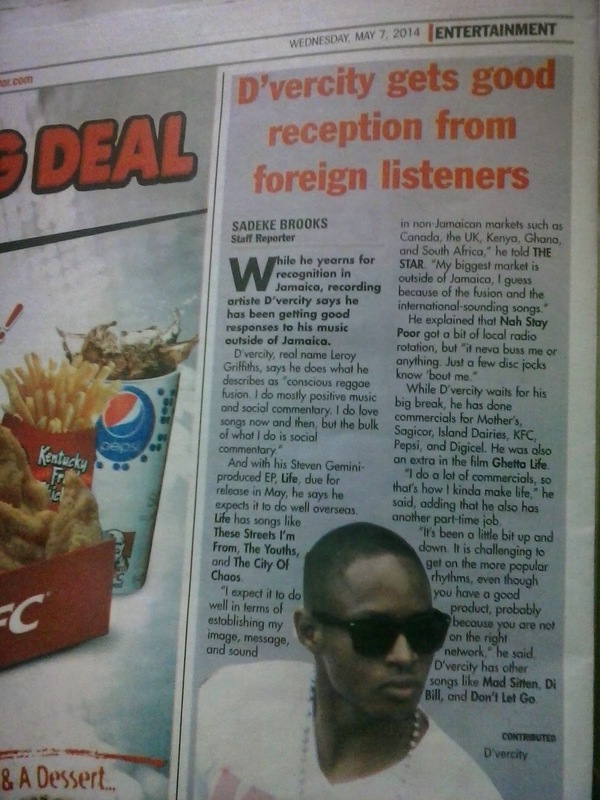 Acting has come into play along the way where he played the role of a Boxer, being an extra in the noted Jamaican film “Ghetta-Life” and has done TV commercials for Mothers Patty and Sagicor, plus voice overs for Pepsi, Digicel and Kfc. He has launched a label with his close friend and recording colleague Caldhino and seems poised to put more momentum in the movement with the release of the “Party-Holic Riddim” and fresh reggae singles already recorded that will be released towards the end of the summer where he will re-focus on reggae music for the local market while promoting his UK based EP produced by Steven Gemini consisting mostly of Fusion…..
His drive to prove to himself and others that he has what it take to transform talent and ambition into stardom, keeps him working despite the challenges of a competitive industry. Whether it’s as a singer, songwriter or D.J., he provides entertainment, asks questions and inspires. While there is not a clear tag for his music, it does not want for substance or creativity, but rather exists in that place where its “D’vercity” makes it accessible to all.